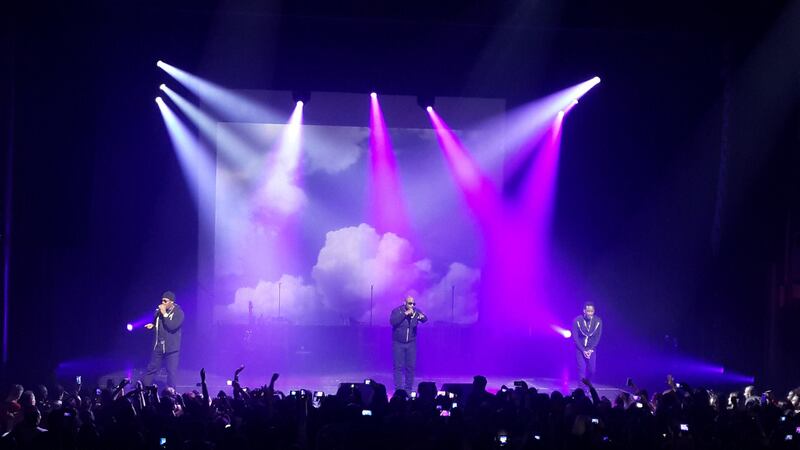 Pure nostalgia for the 90’s RnB era, that’s how I’d define the Boyz II Men concert I had attended at the AB in Brussels. Going into the venue, we were greeted by DJ Da Vinci who took us back in time so we could roll our bodies to Janet’s “That’s the way love goes” or do the cabbage patch on Salt-n-Pepa’s “Push it”. We were in a packed venue and everyone was partying while busting moves from the 90’s. But then again, I’ve never managed to get passed that era and I still get jiggy in the 2000s with the “Hey Ho” and the “Carlton”. I felt like I was at an “I love the 90’s” party with DJ Da Vinci and Boyz II Men kept the flow going. They were doing some boysband dance where they’d roll their hips right behind a mic stand while singing to their Motown covers. If you grew up watching MTV back in the BSB-, N Sync- and Take That-era, than you know what I’m talking about. We also had all of the classics where everyone sang to: “On bended knees”, “Water runs dry”, “A song for mama” and of course the “End of the road” and “I’ll make love to you”. My favourite song of the night however, was their cover of the Journey’s “Open arms”.